Community space for allotments are situated at the Madewell Cafe on the A386 north of town. 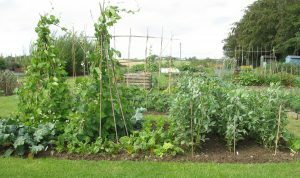 These allotments are on private land but an agreement with the Town Council has secured their availability on a 99 year lease. There are currently 13 plots and are all full at present.